Happy Friday, y'all! Today's post is going to be short and sweet. This week has just been really weird and busy, and I've had a hard time adjusting to going back to school for some reason. I'm ready to get a break and hopefully get my act together this weekend. So, let's get started with a few of my favorite things! I shared Wednesday how one of my students just got back from spending a couple of weeks in England, and this is the candy she brought me back. Literally, the most perfect candy! It was a caramel outside that was hard when you first put it in your mouth but eventually softened, and then it was filled with CHOCOLATE. I'm thinking about seeing if Cadbury will ship internationally lol! I took one outfit photo this week haha! We had a semi-warm day and I busted out my new self-tanner to cover my pasty, white skin. I really love this new self tanner! Make sure you also order this mitt to apply it. 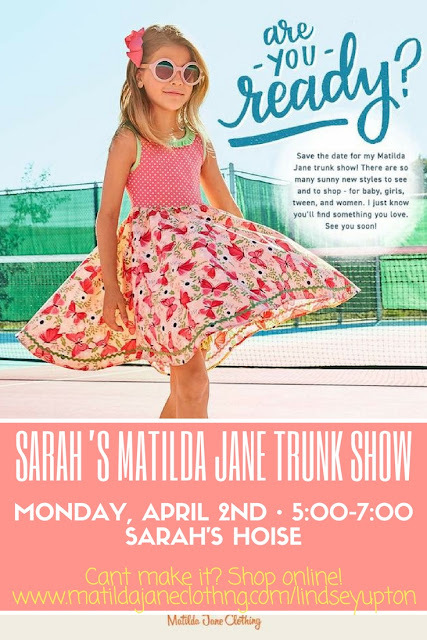 My Matilda Jane party is Monday night and I'm really excited to see the new April collection! If you live local and want to shop, send me an email! Otherwise, you can use the website listed above to shop and just make sure to choose me as your Jane when you check out! This top is recent MJ and is my FAVORITE one right now! It's the softest fabric ever! This dress is MJ and may not be available anymore (I bought in December? ), but they have lots of cute women's dresses that also coordinate with some of the little girl clothes if you have a daughter! I used to think that MJ was only for children, and I'm so glad I learned that they also carry women's clothes because I LOVE them! I hope y'all have a great weekend and an even better Easter celebrating the risen Savior! For breakfast, we're eating eating a homemade parfait. They are literally our favorite things ever! I had a sweet student spend a couple of weeks in England and she came to school Monday and brought me back candy from England! It was the most wonderful Cadbury Eclair candy, and sadly, I've eaten it all haha! The fact that spring break is over haha! Sometimes I get annoyed with sleeping with my hair down. Anyone else? I don't like having it under my neck, so I use these invisibobbles that I got for Christmas to sleep with my hair on top of my head. Then I wake up the next morning with zero creases in my hair! I have also been loving the fact that it stays lighter longer outside! Now if we could only get rid of the rainy and overcast days and let the sun out! 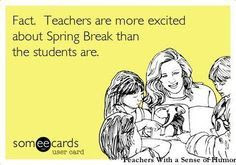 Even though March had spring break, it still wasn't the most exciting month ever. Mom and I spent a day together earlier this month. All three of us got to eat lunch together last week and it was so much fun! My sister got certified to teach spin so she started teaching at our gym on Friday evenings. Dustin went to his first spin class this past Friday...and survived. This was pre-spin haha! We spent the day together Saturday before my spring break ended. Basically we've spent a lot of time together just enjoying the moments when it's still just us. Maintaining a good exercise schedule each week while I can. I try to shoot for 3-4x a week! Reading: I just finished reading The Alice Network and reviewed it here! Lots of DMB lately and podcasts! Nothing really super exciting this month since the weather has been insane. I'm obsessed with this Matilda Jane top and this was the picture they put on their website! I'm having a party Monday, so I'll post the link in the next few days in case you wanted to shop! Cold weather running clothes since it's been strangely cold. Side note: I bought these Lululemon running tights before Dustin and I were engaged (because I'm pretty sure he'd freak at the cost now), but they have been the best investment! This was my uniform over spring break since I can't wear it to work and it was pretty chilly over spring break. Literally, the most comfortable ever! not much! I know, March was really exciting ha! Y'ALL. 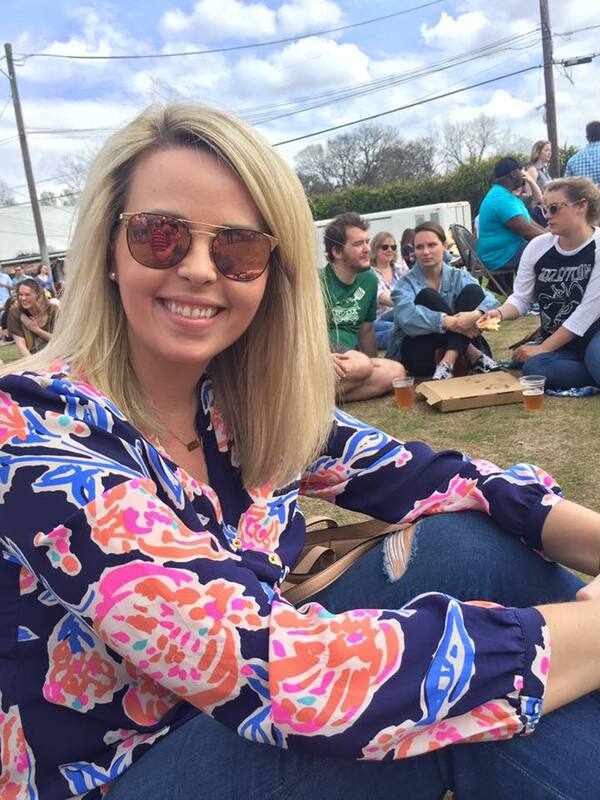 My spring break is officially over 😩😩 I most definitely enjoyed having a week off and it's making me really excited for summer break because I love setting my own schedule My last weekend was a fun one, though, so I'm sharing it with y'all today! Friday I finished reading an EXCELLENT book that I'll share at the end of this post because you need to read it, too. And then we got ready for my sister's spin class that evening. Friday night was Dustin's first night at spin...and he survived! Then we went home, showered quickly, and met back up for Mexican food! You know, while our metabolism was still working haha! On Saturday, Dustin and I spent most of the day in Birmingham. We wanted to go away for the weekend, but with the weather being iffy along with the fact that we're only a few months away from being out of student loan debt, we opted to save the money and do a day trip. Our first stop (and one I didn't get any pictures of) was to the Birmingham Botanical Gardens. Dustin had never been and it was a great day to go because everyone was at the gardens! The sun ended up peeking out, but most of the flowers weren't in bloom so we'll have to go back in May. Oh, we did get to see an engagement happen! Our next stop was Dustin's pick for lunch. I used to eat at Mugshots a lot in Tuscaloosa during college, so I was happy to eat there. Our service was horrible this time--I'm not sure if they were understaffed or what. Then we drove over to Avondale to go to the brewery. They have an outdoor space behind their brewery with a stage and outdoor bar. They had two guys performing on the stage and lots of people brought their dogs and babies haha--we had a great time people watching! Then we went to downtown Homewood to walk around and shop. We had to stop by Cookie Fix, so if you're ever in Homewood, make sure you stop by there!! Look up Cookie Fix on IG if you want to see their different cookies. And now for the one, but EXCELLENT, book that I read this month! I'm currently in the middle of Longing for Motherhood, so I'll review that next month. 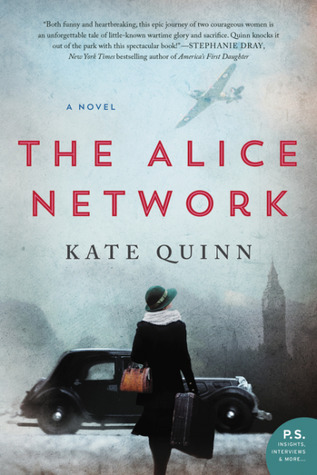 My book club's book for this month was The Alice Network. I initially wasn't that excited about it because all I knew was that it was about female spies, and that really doesn't excite me. But I'm so glad I had to read it! There are two main storylines in this novel--Eve which takes place in 1915 and Charlie's in 1947. Both of these women's lives intersect and there is a subplot with a love story, too! It's a longer novel but kept me interested the entire time, so I highly recommend this for anyone! I cannot believe it's already Friday! That means my spring break is pretty much over 🙈 Once I go back to school, I've got 8 weeks until the summer! As I always do on Fridays, today I'm sharing my FAVORITES with you! This was taken on the 2nd day of spring here in Alabama. Yep, I had to break out my cold weather running clothes (which I only wear when it's below 50 degrees out) to go running. I'm trying to keep up a good workout routine until I have my transfer because after that my workouts are restricted. Athleisure has been my uniform during this cold spring break and I'm not even ashamed haha! This was the start of my spring break last Friday. I took off that day so I got in a quick run and then I did my sister's spin class that night where I puked in my mouth hahaha!! Anyway, I was really proud of the amount of calories I burned that day! Sunday at church, I wore my favorite Matilda Jane dress to church so I could twin with my friend Jessica's daughter, Caroline! Caroline's main concern was the fact that I didn't have a pink bow, so I didn't really match her ha! I went to Anthropologie Sunday after church because that was the last day of their sale, and found this jumpsuit that I LOVED (because I love a good jumpsuit), but y'all, I just can't do orange. Dustin thinks I'm crazy but orange makes me think of Tennessee and Auburn, and this AL fan and grad just can't put those colors on. Please tell me I'm not the only southerner who can't wear the enemy's colors?! Before I get to today's post, don't forget to enter my giveaway! 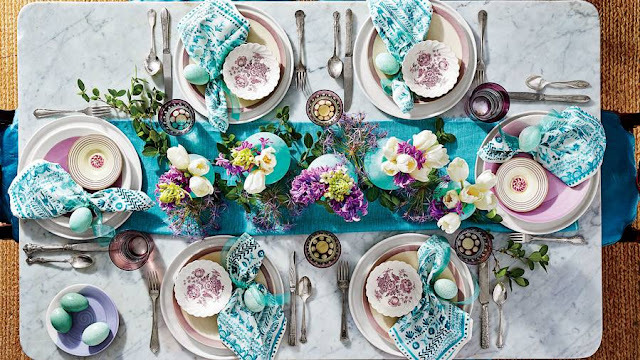 Let's talk Easter tablescapes today. I feel like Easter has snuck up on me because it's only a little over a week away! This month has really flown by because not only do I need to nail down an Easter tablescape, but I also need to gather a few things for Dustin's Easter basket. 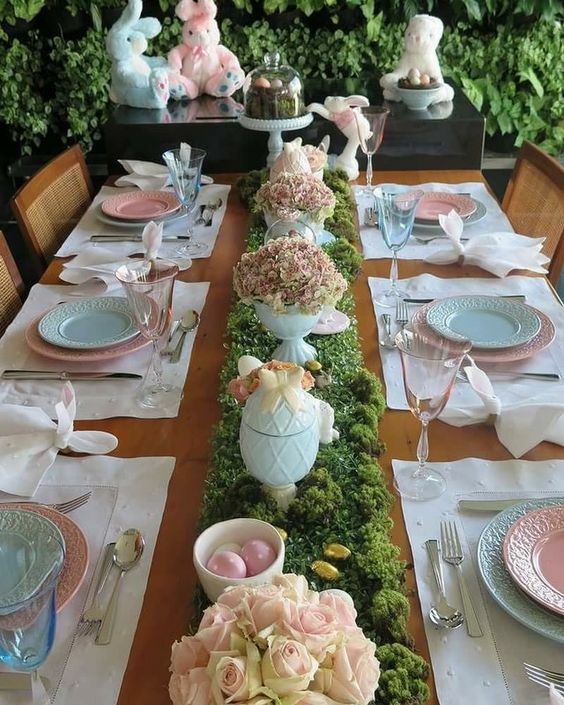 In this one I loved not only the pastel pinks and blues, but also the moss used in the centerpiece. That looks really simple but makes a huge statement! 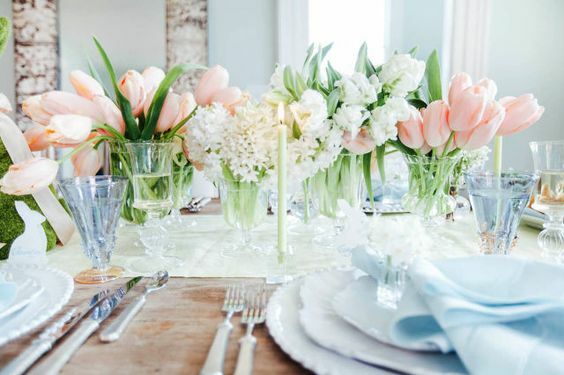 Tulips are a beautiful flower for centerpieces! 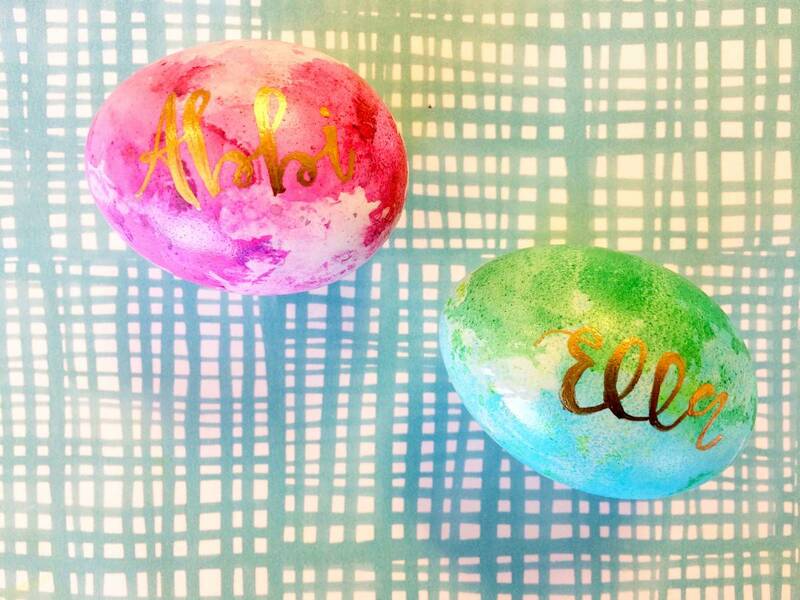 I love how these eggs also serve as place cards! I had also thought about dyeing eggs to use as decor, but this is a cute idea, too. This teal and purple is an unlikely color combo for an Easter tablescape but I think it works! I love this one! You can't really tell here, but the napkin holders are buttons sewed onto a little strip of ribbon that's tied around the napkin--so smart! 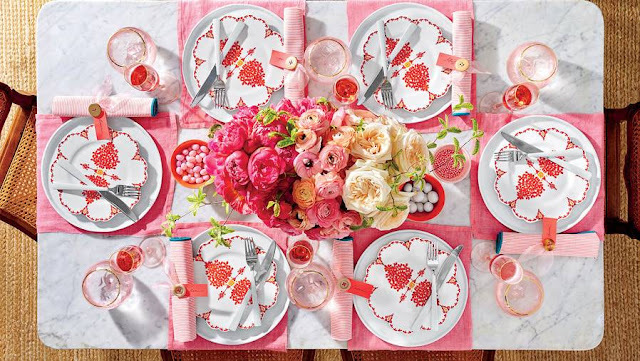 Now, I'm not one for doing anything crafty, but I love that on this fancy tablescape, the napkin rings aren't even anything fancy--just something simple! Before I share a really easy breakfast/snack/lunch idea with y'all, I want to remind you about the GIVEAWAY I announced yesterday! Go back to yesterday's blog to get details! I feel like today's recipe is such an easy idea but it may be something that you never think of--like I didn't! 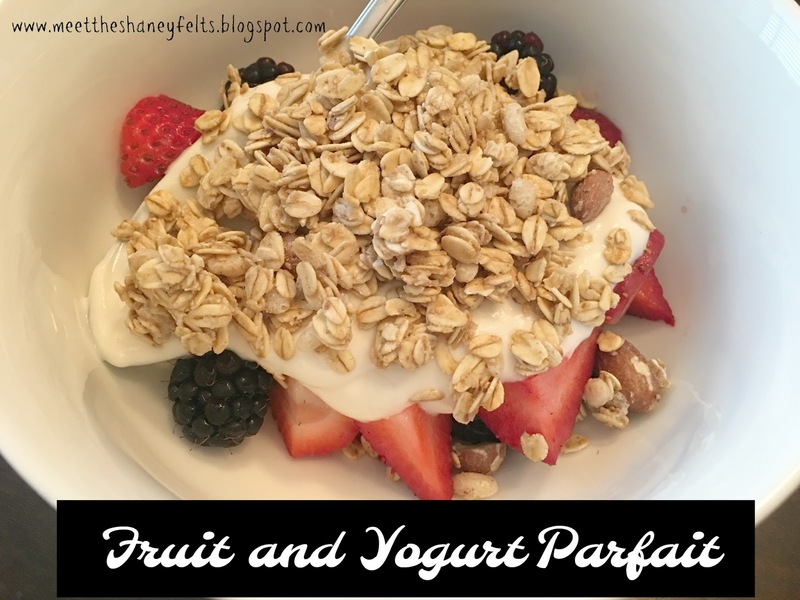 It wasn't until one Sunday morning when we were eating in our Adult Bible Fellowship class, that I tasted this HEALTHIER parfait option and realized how easy that would be to make at home. If you're like me, you love the idea of a parfait, but if you've ever looked at the nutrition guide, these things are always loaded with added sugars. Not only do you get the natural sugars from the fruits, but the yogurt is always high in sugar and so is the granola. So today I'm sharing a low-sugar option with you! 2. Layer your fruit in the bowl first because you want to use more fruit than anything else. 3. Layer your yogurt on top of that--be sure to use less than the fruit...you do want this to be healthy! 4. 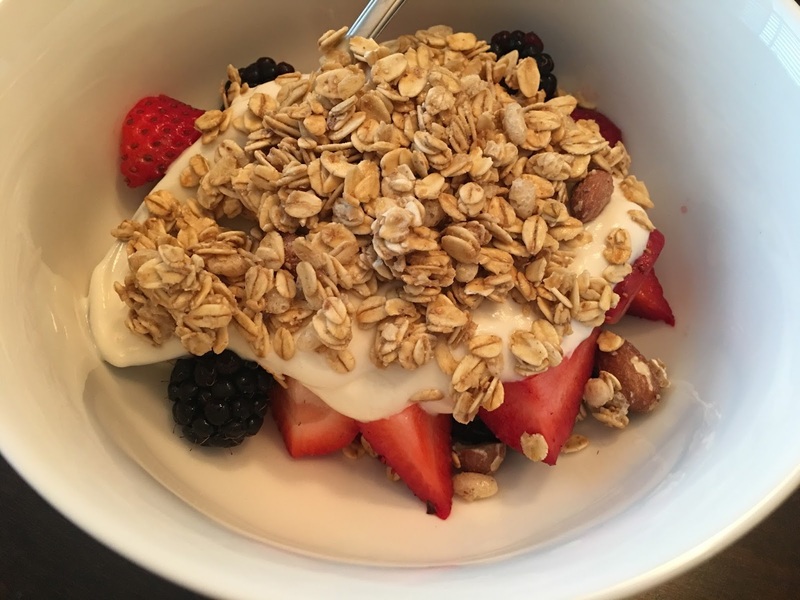 Sprinkle a little granola on top and Enjoy! 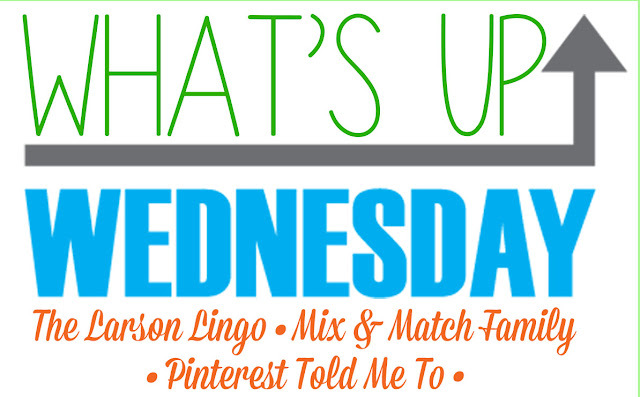 A Little Monday Coffee Talk + A GIVEAWAY!!! Happy Monday, friends! Let'e pretend it's warmer weather here and I was tan like the above photo haha! Speaking of weather, it's supposed to get pretty severe here starting in the afternoons--I'm talking tornadic activity, hail, strong winds, so let's hope it doesn't! Make sure you read to the bottom for the giveaway! Infertility is the biggest thing on my mind right now. 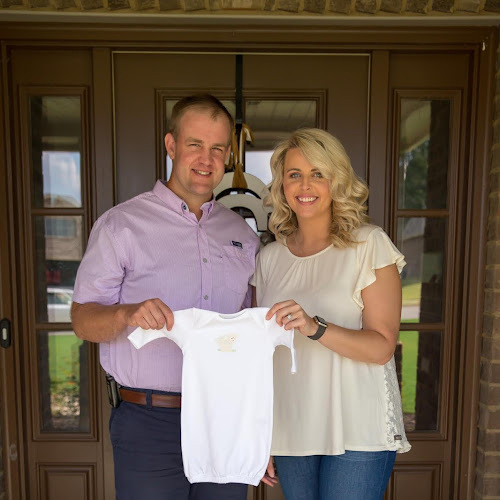 I shared this article on FB last week entitled "God, Why Won't You Fulfill Our Desire for Children?" Reading articles like this always come at a much needed time in my life and serve as a source of encouragement. 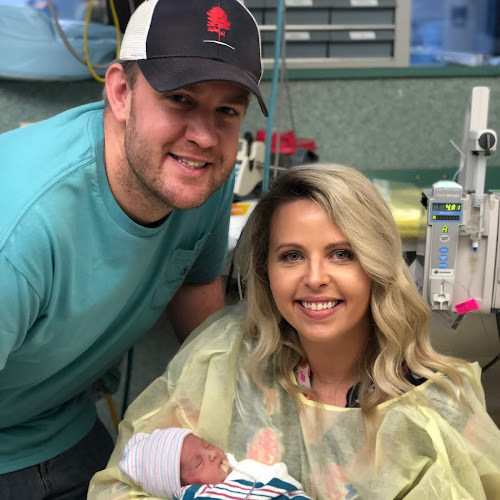 This article reminded me that God is always good. And to remember that God isn't good because of what he does, but because of WHO he is. Because by nature I am a sinner, I often want God to just hurry up and give us children because children are a good gift (Psalm 127:3)! But I remind myself that God has given us this season of life and I pray that I don't waste it and that He is glorified. And I realized that two years ago this month was when I started my first fertility drug. To say that my body is exhausted and that I am weary is an understatement. I've had a really hard time lately in dealing with a lot of different things--I try to remain positive, but I do have hard days. My transfer is within a month and I'm asking that y'all pray for us. I'm not going to be specific on any dates, but I would really appreciate your prayers. This romper would look so cute with wedges out to eat one night! I didn't get it, but hopefully soon! My mom has come up with a new business venture for me and I actually think I like it haha! I'm going to do trial runs on my sister and my mom, and if I think it's possible, then I'll start advertising. I know that's so vague, and if I were reading someone else's blog who said that, I'd really want to know. I promise I'll let y'all know either way soon! 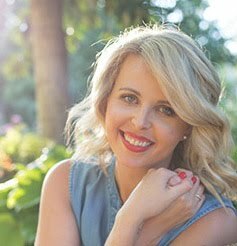 I came across Chelsea Sobolik last fall on Twitter after Russell Moore tweeted that he just finished the forward to her upcoming book Longing for Motherhood. Now, I trust what Russell Moore tweets because I know he is a solid Believer who has solid doctrine and theological beliefs, and obviously the title was intriguing to me. This was right before our last egg retrieval, so I started following Chelsea and saw that her book was set to release March 6. Fast forward to the end of January, and she held a contest to receive a free copy of her book when it released--and I won! When she emailed me to let me know, we started talking and I mentioned my blog and so she kindly sent me an extra copy to give to someone else struggling with childlessness. Email me at saraheshaneyfelt@gmail.com nominating a friend, family member, coworker, yourself, or anyone you know who is struggling with childlessness and who needs a book to remind her to trust in God during this season of sorrow. I will choose someone on Friday! Yes. Yes. YES!!!!! There isn't a statement that isn't any truer than what's above! And as for me, I started my spring break a little early--I took a personal day today so my spring break technically started yesterday when I left school at 3:30! 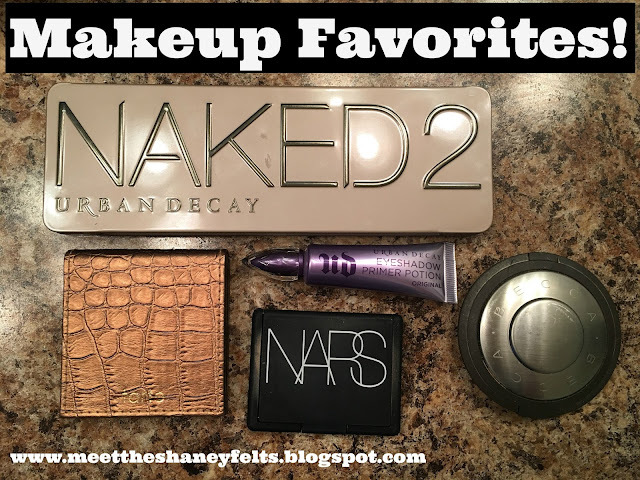 Today I'm sharing a list of my FAVORITE things with y'all! 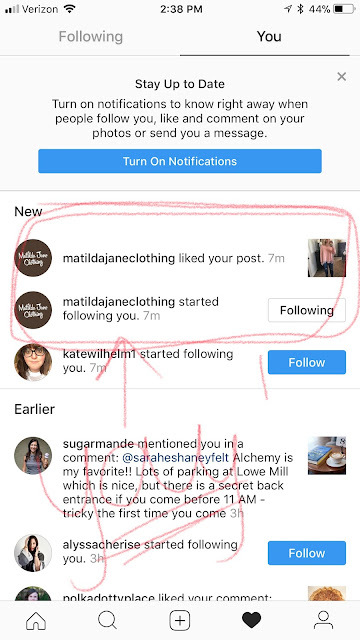 Here's another FAVORITE--Matilda Jane liked a post, FOLLOWED ME, and them commented asking if they could use it for their website!!! I almost died when I saw that notification! I immediately screenshot this to send to Mom and Rach. Thursday Dustin and I went to go eat Mexican and when Rachel found out, she came and joined us! We laughed about being so glad we live so close to each other--I don't know what I'd do if we lived in different towns. Speaking of Rachel, she's teaching her 2nd spin class tonight. Last Friday was TOUGH but really, really fun! 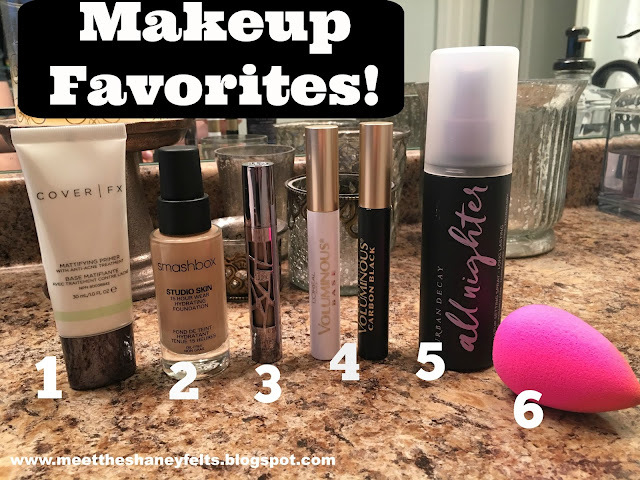 I shared a bunch of my current makeup favorites earlier this week. And I love pizza so much that I ate it pretty much every day my freshman and sophomore year of college (thanks college meal plan). But I prefer to make my own pizzas now because I can make them healthier. 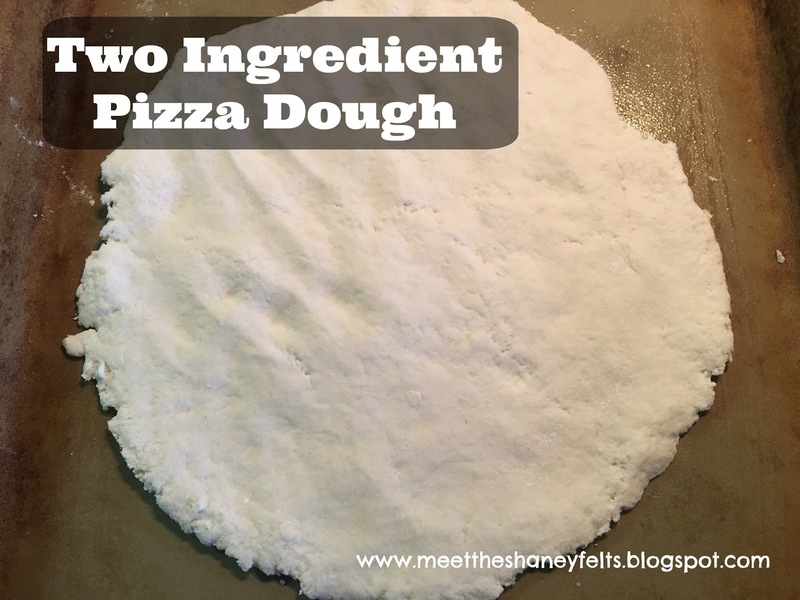 I found the best homemade dough recipe that takes no time at all to prep! To leave y'all with today's favorite song, it's by a band I went to see in Nashville when I was in college and it is probably one of the top 5 best concerts I've ever been to--and I've been to a lot!